The Hellenic word synkretismos (συγκρητισμός) means (more or less) "Cretan federation." 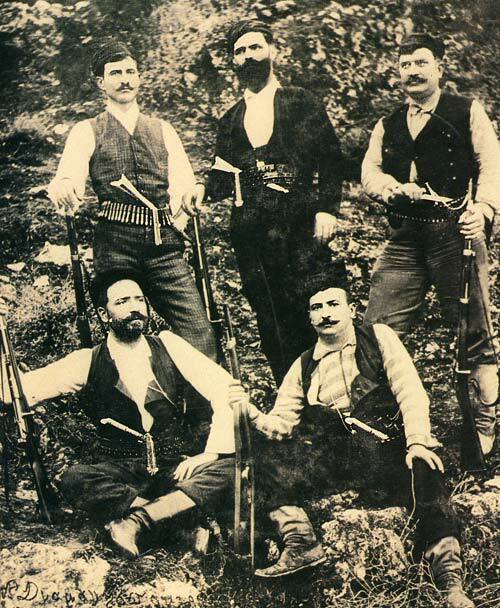 The origin of the word lies in the ancient habit of the people of Crete to fight among themselves when no external enemy threatened, but to band together and fight as one against any would-be foreign invaders. Then this further matter must be borne in mind and guarded against when differences arise among brothers: we must be careful especially at such times to associate familiarly with our brothers' friends, but avoid and shun all intimacy with their enemies, imitating in this point, at least, the practice of Cretans, who, though they often quarreled with and warred against each other, made up their differences and united when outside enemies attacked; and this it was which they called "syncretism." For some there are, fluid as water, who, seeping through those who relax their hold and disagree, overthrow affinities and friendships, hating indeed both sides, but attacking the one which yields more readily because of its weakness. For while it is true that when a man is in love his young and guileless friends share his love, it is also true that the most ill-disposed of enemies make a show of sharing the indignation and wrath of one who is angered and at variance with his brother. As, then, Aesop's hen said to the cat who inquired, with pretended solicitude, of the sick bird "How are you?" "Very well, if you keep away"; so one would say to the sort of person who brings up the subject of the quarrel and makes inquiries and tries to dig up some secrets, "But I shall have no trouble with my brother if neither I nor he pay attention to slanderers." But as it is — I do not know the reason — although when we suffer from sore eyes, we think it proper to turn our gaze to colours and objects which do not beat against or offend the sight, yet when we are in the midst of fault-finding and bursts of anger and suspicion toward our brothers, we enjoy the company of those who cause the disturbance and we take on from them a false colouring, when it would be wise to run away from our enemies and ill-wishers and avoid their notice, and to associate and spend our days almost entirely with relatives and intimates and friends of our brothers, visiting their wives also and frankly telling them our reasons for complaint. And yet there is a saying that brothers walking together should not let a stone come between them, and some people are troubled if a dog runs between brothers, and are afraid of many such signs, not one of which ever ruptured the concord of brothers; Eyet they do not perceive what they are doing when they allow snarling and slanderous men to come between them and cause them to stumble. There is a positive meaning of "syncretism", dating back to the Renaissance, which is close to the original sense of the term, at least as understood by Plutarch, who associated syncretism with nothing less than the virtue of "brotherly love." 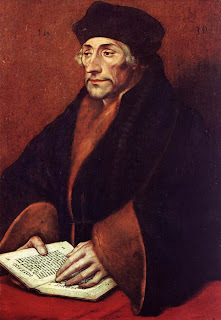 This positive usage (in an Early Modern Christian European context) is owed to Erasmus of Rotterdam (1469-1536), who explicitly called upon Plutarch's syncretic Cretans for moral support, and as a precedent worthy of emulation, in the cause of advocating for a reconciliation of (often violently) competing Christian sects. 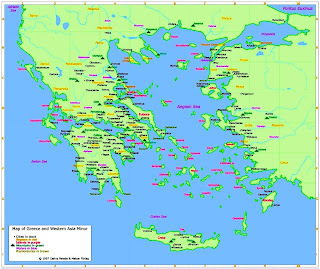 In particular, Erasmus held up the example of the Cretans as illustrative of his adage #764: "Concordia fulciuntur opes etiam exiguae." Which means: "With concord even slight resources are strengthened." Erasmus, and those who agreed with him, such as Georg Calixt (1586-1656), found themselves accused of syncretism, and here we encounter the negative meaning that some Christians have imposed on the word. This negative sense can also be understood with reference to the original meaning, for the negative sense denigrates syncretism as something resorted to at best out of necessity, or at worst out of sheer opportunism. At any rate it dismisses (or even condemns) syncretism as at the very least ad-hoc and unseemly to the point of being completely unacceptable to those seriously engaged in the lofty business of theology. To make things more complicated, those who subsequently defended Erasmus and Calixt often accepted the negative sense of syncretism as a given, and, therefore, couched their arguments in terms of denying the charge of syncretism against Erasmus and Calixt, despite the fact that both had themselves self-identified explicitly as syncretists. 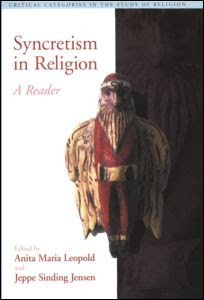 Things become even more muddled when we move from the Renaissance to the 16th and 17th centuries, when syncretism still appeared one way (negatively) to sectarian theologians who were narrowly focused on Christendom's European stronghold. They were only interested in drawing bright ideological lines to separate the correct/orthodox interpretation of the one true divine teaching from all that was "error", and to thereby guard against the unholy mongrelization of purebred truth that would result, tragically, from any unblessed unions with unclean ideas. The expansion of Christianity in the sixteenth century was the basis on which the notion [of syncretism] became part of the mission policy. It was in the irenic ["conducive to peace and reconciliation"] sense of the term that the Franciscans and the Dominicans in Mexico planned in 1524 and in the tradition of Erasmus, "to settle the Indians around churches ... and convert them by colourful ceremonies". 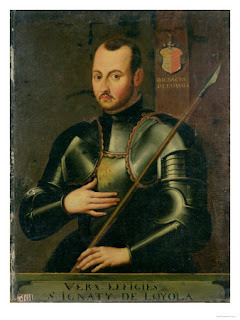 In the East, the Jesuits regarded syncretism as a means to expand their mission, in a similar way to the Jesuit Francis Xavier (1542), who worked out a scheme to convert Japanese lords to Christianity by adapting Christianity to Japanese culture. As a result, local customs not directly in contradiction to Christianity were to be accepted. In China, another Jesuit, Matteo Ricci (ca. 1600), accepted Confucian rites and ancestor worship as a way of serving missionary purposes. He even wore the robes of a Confucian scholar. "We had no choice." Strategic syncretism in the face of Christianization. Ficinus. Paganus? More on the religious identity of Marsilio Ficino. Then again I might be a little biased since I ADORE Plutarch and enjoy seeing people discuss his work. Plus, you know, there's that whole being a syncretist myself thing. Plutarch was really something! He was both Greek and Roman and one of our most important sources for Egyptian religion as well. And he was also simultaneously a Priest and a philosopher, and also a gifted writer whose works are of great interest to people with no real love for either religion or philosophy! And he also lived an active "civic" life and had a very successful career in politics, such as it was at the time. Scandalous, I know, isn't it? And yeah, Plutarch was awesome. To me he represents the best, most enlightened, most humane aspects of Hellenism. You will find no greater tender affection than his Consolation to his wife, no greater breadth of knowledge than his Lives and Quaestiones convivales, no keener interest in the traditions of neighboring peoples than his On Isis and Osiris, no profounder grasp of philosophy and the divine than his Pythian Dialogues and Platonic Questions, no more practical and applicable advice for proper moral living in all of the literature of antiquity. If I could have only one book it'd be the collected works of Plutarch. Granted, no such single volume exists since his oeuvre takes up a full library shelf, but still. He is a personal hero of mine and I keep an image of his beneath my Hermes shrine.